I didn’t realize I needed these until a lovely volunteer placed them on my feet at mile 69 at Georgia Death Race. At mile 44.5, a blister that I had not felt up until that point popped, and suddenly sweat and dirt entered my skin causing stinging and tons of pain. I limped into the mile 45 aid station (I was lucky that it was clo) but no volunteers had band-aids or anything else on hand. I got my foot wrapped up with duct tape which worked surprisingly well. When I came into mile 69, I decided to have my other foot looked at that had a much larger unpopped blister on my heel. I cannot even begin to describe how heavenly my feet felt during the last 6ish miles after these were put on my feet. 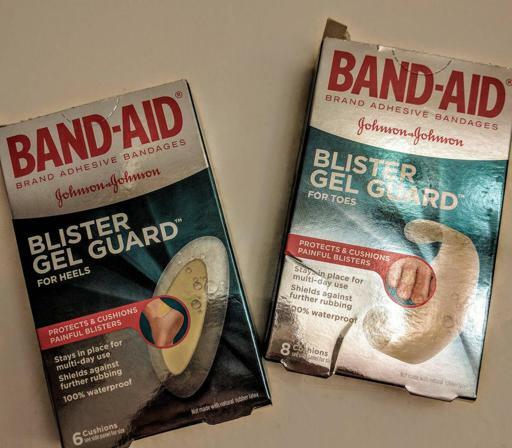 When I returned to work these blister pads came in handy again, as I could wear flats pain free despite having blisters on my toes and heels. I find these to be a summer essential for me. Sometimes races carry them, but sometimes not. 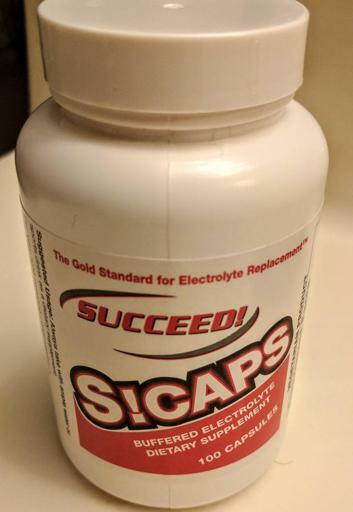 They are perfect for when your stomach feels off and you aren’t feeling up to Gatorade or whatever other sports drinks that the race might carry. I prefer drinking Tailwind to taking S-caps, but when I run out or am not carrying water (i.e. road marathons) S-caps are life savers. The hotter it is the more I carry. This year at the Pro Football Hall of Fame Marathon I learned to carry extra in case the unthinkable happens: have a hot miserable day, pass mile 20, be in desperate need and dropping it. Soreness makes it hard to bend over, and eating off the ground should typically be avoided. Acetaminophen is the preferred pain reliever to take during exercise, as NSAIDs (such as Advil or Ibuprofen) can result in a slower recovery. But typically races won’t carry any pain reliever at all. I usually run with the maximum daily dose for emergency purposes in both marathons and ultramarathons. I took it at Stone Steps 50k when I was running on a stress fracture in my hip. I also took it to complete my first Ultra, RAGNAR Del Sol relay, where I ran 46 miles in 3 legs while coming off of a knee injury that put me out of running for 8 months. I have given it to other runners who looked absolutely miserable, and watched them smile in relief. 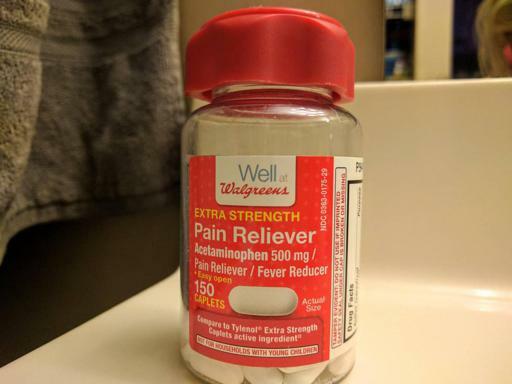 Tn general, I try and avoid taking pain relievers. But…sometimes it’s needed to make it to the finish when you aren’t quite ready to quit. After doing some research into caffeine water last year, I purchased a case to test out. But I found them to have a slight after taste and overall thought they were a little bulky to use multiple times during an ultra. Thus, this year before Georgia Death Race, I bought caffeine in pill form. Traditional wisedom says to not try anything new on race day, but GDR ended up being 10 hours longer than I had ever ran at once. 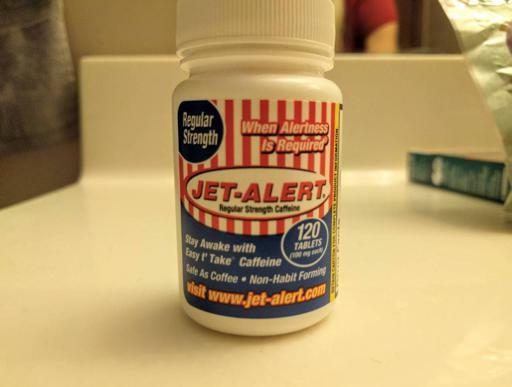 These caffeine pills did the trick to keep me moving through the night. I would pop one whenever I noticed that I was tripping over rocks and running with my eyes closed. The case I bought stated a recommended maximum daily dose, so I only ran with that amount for the race. I also go cold turkey on caffeine leading up to a race, lowering my tolerance and making it more effective in smaller doses. Ginger is great for an upset stomach when you happen to screw up your nutrition. Fresh ginger is hard to carry and eat, and although ginger ale is often available at ultras, I find that Gin Gins are more concentrated. Last year I DNFed at my first 100 attempt at Burning River. I screwed up my nutrition early and stopped eating: a deadly combination. Then, a few months later I ran the Germantown 50k where I again found myself with messed up nutrition and decided to walk the final loop's 10mi to the finish. As runners passed me, one struck up conversation and discovered I wasn't feeling well. He handed me two Gin Gins and suggested I take one, save the other for later, and then he took off. The candy was chewy, coated my teeth and tasted pretty good. To my surprise, shortly after eating the first candy my upset stomach was cured. 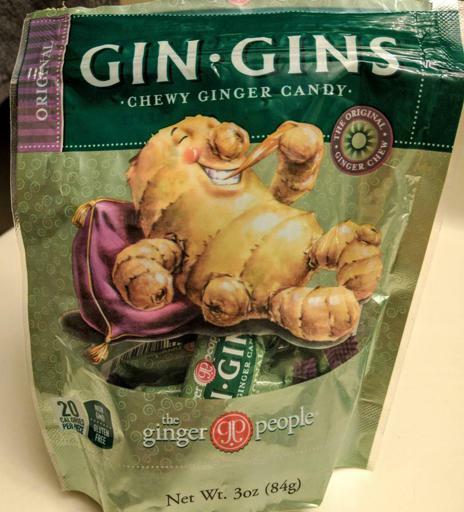 This stuff is miracles in candy form. I originally came across this product on a blog post that has since been lost to time. The new model is 26 grams and 50 lumens, though I have an older, heavier model. It is a great backup headlamp. I have been to races where runner’s batteries die and they are stuck running in the dark or forced to keep pace with another runner. It's come in handy for me when my headlamp has died and slowly lost brightness, and as a handheld complement to my headlamp when the terrain was more technical. Due to its light weight I always keep it in my pack, no matter if I’m running a day-time 50k or something longer. It functions as both a regular headlight and an emergency red strobe light. In winter I always pack extra layers in my drop box, however after this past winter I have begun keeping my extra gloves with me while on the run. When the wind kicks up my hands seem to be the ones that notice it first. And in the winter when you are cold it’s a long way back to your drop box. 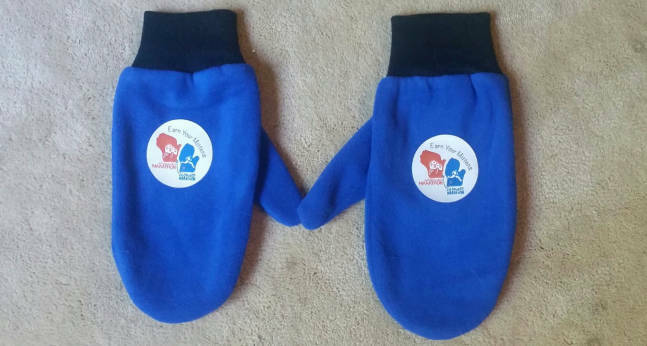 I run with my giant Earn Your Mittens that I got from running back to back marathons in Wisconsin and Michigan. The mittens are oversized and fit over any gloves that I have and easily add an extra layer. Because my old Garmin Forerunner 235 and new Garmin Fenix 5S watches only last for 12 hours on GPS mode. 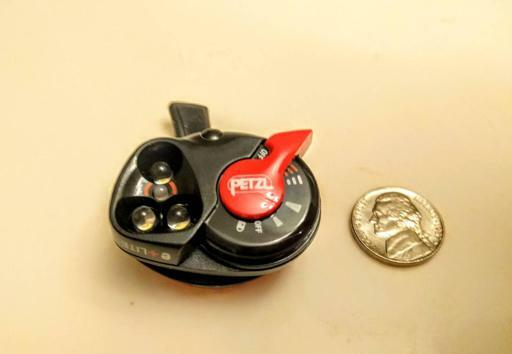 This means at 50+ milers I typically run with a portable charger to keep my watch going. 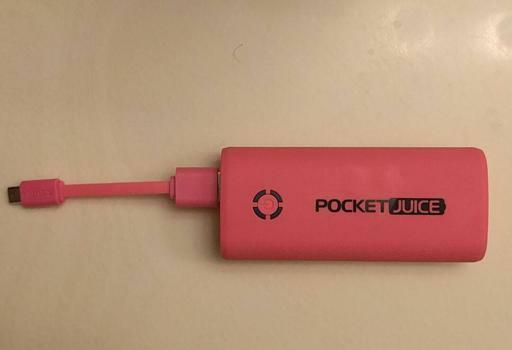 Portable chargers are tricky to buy though, as they can quickly add weight to your pack and as such the smaller the better. This 4000mAh charger suffices nicely. 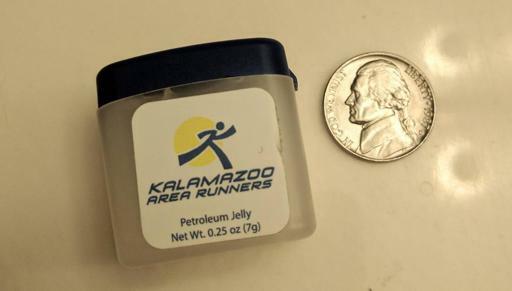 I picked up a small container of petroleum jelly at a marathon expo a long time ago. Time went by and I forgot about it, but when I stumbled upon it again I realized it would be great to leave in my pack. It’s perfect in the winter to protect your lips from getting chapped and preventing painful wind burn. I find that I use it the most in the winter months, but it is also good to carry year round for potential chaffing issues.